Progeria Facts talk about the rarest genetic condition. It makes a normal child look so old after he or she is one year old. They age faster than the normal child. Fortunately, the condition is not passed down between generations. The children with Progeria experience the similar aging process that you can find on the elderly people. For more information about Progeria, check out following information. Progeria is not passed from generation to generation as I have stated before. But it has natural occurrence. There are no reports which state that two children from the same parents have Progeria. The chance of having Progeria is one child in every 8 million births. The risk is very small. It involves with the rare genetic condition inside the body of a child. 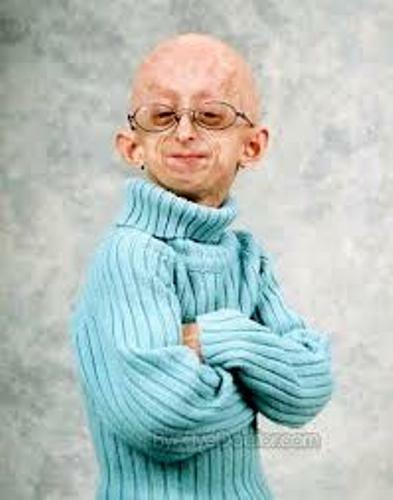 Can you tell me the first sign of Progeria? It makes the child with Progeria experiences scleroderma. The people will be able to find out other symptoms when the child was 18 or 24 months. The child will suffer from hair loss, poor eye sight, atherosclerosis, wrinkled skin, cardiovascular problem and kidney failure. Check out facts about health here. 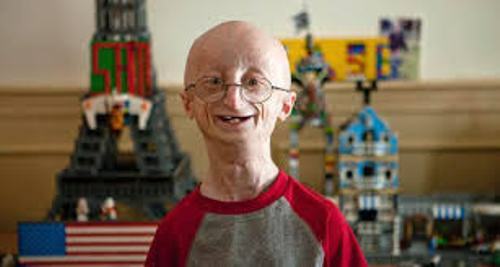 The child with Progeria can only live up to teenage time. It means that most of them can only live around the beginning of the twenties. Even though you see the child look like a child, the mental development of the child is not affected by Progeria. They have normal mental and motor skill. They are courageous and intelligent. Another common symptom found in the child with Progeria is Musculoskeletal Degeneration. It is often seen in the elderly people. Find out facts about physical therapy here. People often call this rare genetic condition simply Progeria. But some people call it HGPS or Hutchinson-Gilford Progeria Syndrome. This condition is fatal on children since most of them die because of arteriosclerosis or heart disease. To find out whether the child has Progeria or not, a test should be conducted. Usually it involves with a genetic test used to make verification of LMNA mutation. Is there any treatment or cute for this genetic condition? The answer is no. But some researchers have bee made to fix this condition. Some medical scientists try to use the anti cancer drugs, growth hormon treatment or even pravastatin to cure the condition. 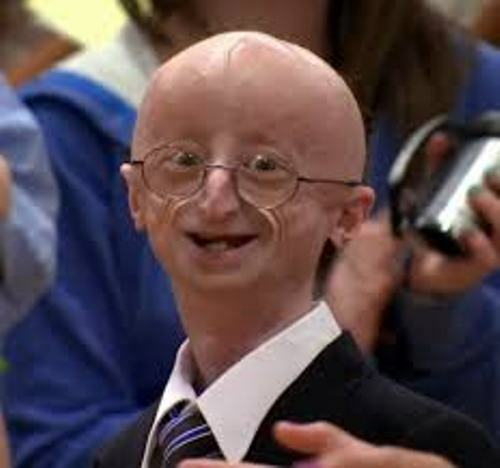 There are 80 cases of Progeria found in the world. Do you want to say something on facts about Progeria?